HOW TO PURCHASE ACCESSIBLE TICKETS? Please note tickets are subject to availability. Access to the disabled car park will only be granted to those with a valid blue badge and a car parking ticket, we ask that this is displayed clearly, along with your car park ticket, on your dashboard upon entry. There will be a Mobiloo unit located near the accessible viewing platform. Mobiloo provides dignified, safe, hygienic, well maintained, spacious facilities that include a hoist, full size, height adjustable changing bench, accessible toilet, washing facilitates and a trained attendant. 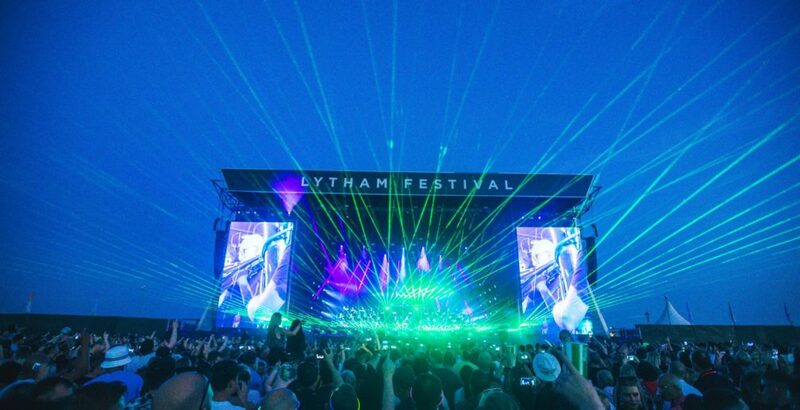 Lytham Festival takes place on Lytham Green. The site is a green field site therefore is relatively flat but does have uneven terrain in parts. The ground may be muddy or dusty dependant on the weather conditions. We suggest dressing appropriately for all weather conditions. Chairs are not allowed into the arena on the Wednesday, Thursday, Friday and Saturday concerts. For the Sunday Proms concert, you’re welcome to bring chairs and a picnic. If you have a medical requirement for a chair, please click HERE to contact us and we will review. Please bring a doctor’s note or a prescription with you if you do require to bring medication with you. Please show this to security on entry. There are medical and welfare facilities available at the site. Please ask a member of security to direct you to the facilities if required. If you have purchased an Ambulant or Wheelchair Platform Ticket you will receive your ticket in the post or by digital print pass. The companion tickets are then available to be collected at the box office on the day of the show. If you have purchased an Ambulant or Wheelchair Platform 5 Day Pass. Please collect all 5 of your companion tickets on day 1 of the festival from the onsite box office. To collect your companion ticket, it is mandatory to provide one supporting documentation as evidence of your requirements and to grant a companion ticket.